PARIS (AP) — France’s prime minister on Wednesday assumed responsibility for the country’s domestic security after the interior minister resigned in an apparent act of defiance toward President Emmanuel Macron. Prime Minister Edouard Philippe is in charge until a successor to Gerard Collomb, until recently one of Macron’s closest political allies, is appointed. In a handover ceremony, Philippe said his main focus would be to ensure “the highest security level” in the country. “We live in difficult times with threats abroad and sometimes on our territory … It’s our role to be up to the task,” he said. Macron accepted Collomb’s resignation late Tuesday, after initially refusing it the previous day. Collomb insisted he wanted to leave to be able to run for mayor of the city of Lyon in 2020 and made the dispute public by speaking to the French newspaper Le Figaro. During Wednesday’s weekly Cabinet meeting, Macron told his ministers that “what’s been happening for 48 hours has nothing to do with a political crisis … what we’re going through is related to strictly personal issues,” Griveaux said. 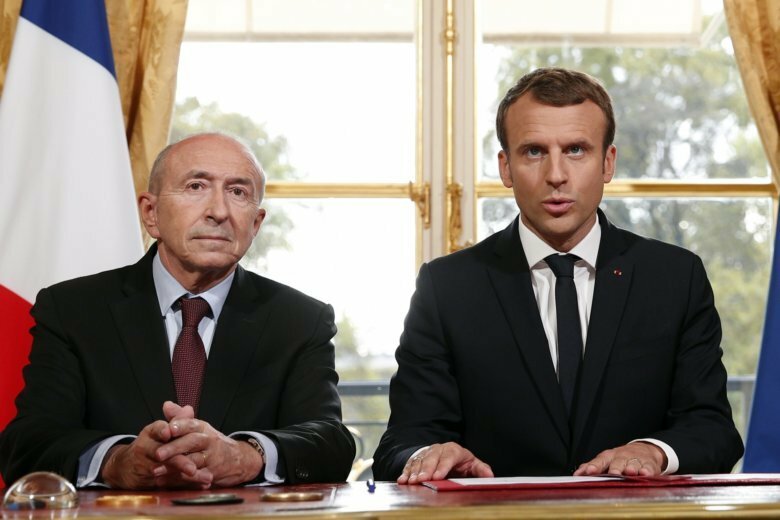 Collomb, 71, said he regretted leaving the ministry, listing the changes he led over the last 16 months, including passing a counter-terrorism law last year that replaced the state of emergency declared following Nov. 2015 attacks in Paris. His departure against the president’s will leaves the government weakened at a moment when Macron is about to launch sensitive economic reforms. Macron has pledged to make changes to unemployment benefits and streamline the pension system. Macron has faced a series of recent challenges and his popularity has dropped to a record low since his election in May 2017. Last month, popular French environment minister Nicolas Hulot unexpectedly announced his resignation on the radio, saying he felt powerless to speed up the country’s slow progress on green issues. Macron has also struggled for weeks to cope with a major scandal over his former security aide that erupted in July when the man was identified in a video beating a May Day protester.